Input Indian Languages Anywhere | Live to Learn! 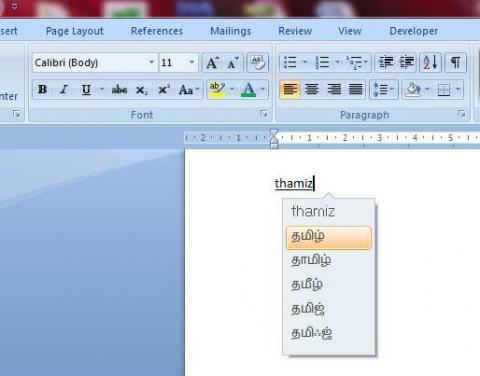 Microsoft has released a best tool to input in Indian Languages in any application in Microsoft Windows. Microsoft Indic Language Input Tool helps us to enter Indian language text easily into any application in Microsoft Windows or on any page on the Web. The primary input mechanism is transliteration. Additionally, it provides a visual keyboard to assist with editing words that do not transliterate properly.